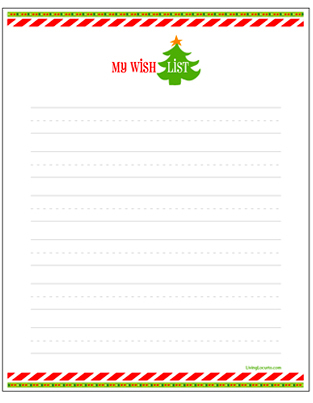 I’ve been good enough to WRITE a list…..
My sweet, sweet Brother-in-law always wants a list of things he can get me for Christmas. And he’s a very good gift giver ~ not just to me, but to everyone. Of COURSE I tell him not to get me anything, but thank GAWD he doesn’t listen and gets me something anyway. A bottle of Tequila. And not the cheap stuff that makes my Margarita taste like lighter fluid and Sprite mixed together. Iced Tea Maker. The one I have has a cracked lid, stained pitcher and something I can’t quite identify on the outside….I’m sure it’s paint from SOMEthing. I’ve had this Ice Tea Maker for 17 years and I’ve made at least 1 pitcher of tea every day for almost every day of those 17 years. I really, really, really LOVE this tea maker. That’s a lot of tea ~ dayum…can’t get anything to last any more, huh? Clean my truck. I don’t mean anything fancy like a wax job, cleaning the wheels (NEVER understood that, but then again I don’t even wash my Truck) and have a white-glove treatment inside. Nope ~ I mean wash the outside, maybe even vacuum inside and get the french fries out from between the seats. A bottle of Honey Whiskey. There are tons of new brands, and I’d be happy to taste test just about any of them….really ~ it’s a public service. Target. Olive Garden. Hobby Lobby. Visa. I am one of those people who LOVE Gift Certificates and I hoard them like chocolate on a Tuesday night. I probably have 10 in my wallet with $18.42 available if I totaled them all together. You never know when a store might have a dollar sale and I am READY when they do!! Did I mention Tequila? And Rum? Yeah? Good. Dinner out. Yep, just about anywhere. And a Gift Certificate for any restaurant would work, too. I’m not even picky, but I don’t do Chinese. Oh, and in case I forgot to mention it, a trip to the liquor store should solve all the gift list questions. And just for kicks, a guest starring role on NCIS would work pretty damn good, too. ********************************************************************Thanks for reading my blog ~ if you want to leave a comment, I promise I’ll read it and respond because I LOVE comments. And if you really love it, share it with your friends and have a margarita while you’re reading the blog out loud. At the bar. With other people near by. It’s even FUNNIER then! 🙂 Cheers! Next I Learned Something This Weekend…. Pat ~ thank you SO much for reading them…and liking them….AND letting me know! Cheers! Beverly ~ I’m thinking so, too ~ Just laminate and hand out!! Not a whiskey fan typically, but tried a “cinnamon” whiskey recently – was pretty good! That stuff warms you from your gums to your gut! Tina ~ I was NEVER a whiskey girl til I tried a Wild Turkey with a Splash of Pepsi at the bar one night. Fell in love and I’ve been trying lots of them ever since and I LOVE the cinnamon ones!! And yes, it definitely warms you right up!! Cheers !